The Click PLC family has been updated, and now has the ability to use high speed counting. This is available on all of the Ethernet units that have DC inputs. The faster processor on the Ethernet unit (3 to 10 times faster than the basic unit) allows this capability. 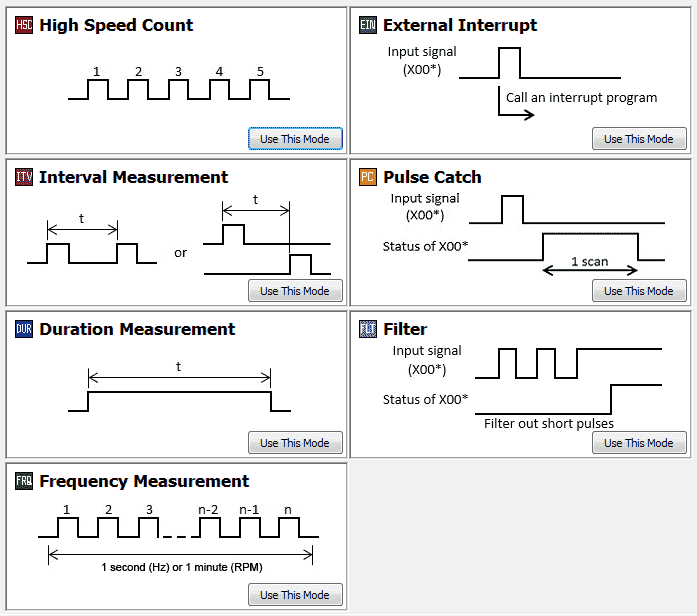 There are seven (7) different modes of operation for the high speed counter available so adaption to your automation solution is easy. The input can count Up, Down, Up/Down, Pulse/Direction or Quadrature (with Z). Maximum speed on the high speed counter inputs are 100 kHz. That is 100,000 pulses per second. We will be looking at the different high speed counter modes available in the click. This is all setup through a user friendly graphical user interface. Let’s get started! Keep on Reading!